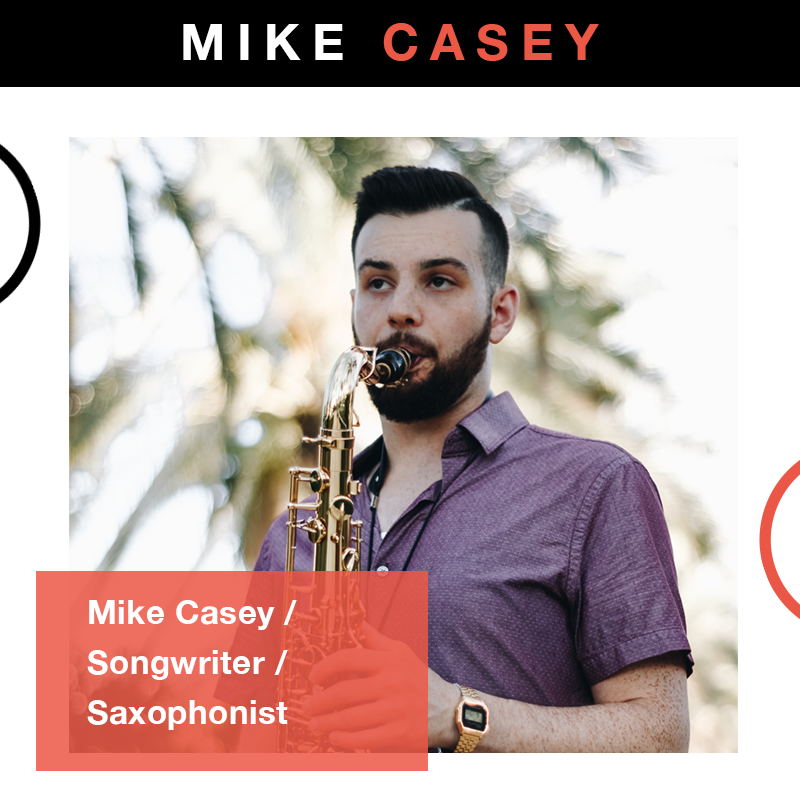 MIKE CASEY is an award-winning, fully independent songwriter, saxophonist, and teaching artist with over 1.5 million streams worldwide, Mike is bringing the joy of “jazz” across genre lines to a diverse audience around the world. On a mission to be a passionate vessel for “jazz” in the 21st century, Mike is demanding audiences’ attention with his searing, multi-dimensional sound – whether bringing down the house with a re-imagination of songs as diverse as Jay-Z’s No Church In The Wild, Soundgarden’s Spoonman, or making the crowd swoon on an original ballad. Mike has performed with artists as diverse as DJ Logic, Nat Reeves, Benito Gonzalez, Brandee Younger, Zaccai Curtis, Tarus Mateen, Duane Eubanks, Justin Faulkner, and Marc Cary, through his project “The Harlem Sessions”. 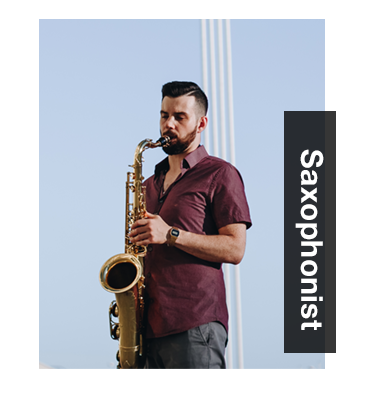 Through his apprenticeship with Cary (which began just two months after graduating from Hartt in 2015), he has performed at the NYC Winter Jazz Fest, Lincoln Center, NYC SummerStage, Ginny’s Supper Club, and Cape May’s Exit Zero Jazz Festival. Musically, Mike wears his heart on his sleeve & aims to tell a story above all. Not one to rely on sizzle over substance, he focuses on rhythm, melody, space, lyricism, dynamics, contrast, communication and phrasing - not simply "displaying" skill for ego's sake - while delivering each musical statement with power, honesty, & passion. So many...thanks to my family growing up I listened to a ton of older jazz from Pops (Louis Armstrong) to Miles Davis, John Coltrane, Oscar Peterson, Duke Ellington, Basie, Charlie Parker, Art Blakey, etc but also a lot of Motown (lots of Stevie and Marvin Gaye) via my parents. I am a child of the 90s/2000s so listened to a ton of R&B/hip hop as well, artists like Bruno Mars, 2Pac, Biggie, T.I. Termanalogy/Statik Selektah/the Boston scene, Freddie Gibbs. In high school and early college I DJ’d too which exposed me to a ton of electronic music from Deadmau5 to Wolfgang Gartner to disco house (A-Trak/Duck Sauce) but also a lot of dancehall. Jewish music from synagogue undoubtedly influenced me as an artist as well, how deeply I feel minor sounds (my first two albums there’s a lot of minor). These days I listen to a lot of “world music”, neo soul/alt-R&B (loving Daniel Caesar, Phony ppl, H.E.R., Alina Baraz’ Urban Flora), progressive jazz, funk. Just got finished playing in a flamenco ensemble at Berklee Valencia. I’m all over the place and love everything. I always had a great time playing in jazz “big bands” in college and high school. Being in a sax section….there’s a collective thing there that the rhythm section gets but for sax players, one of the only times we get that is being in a 5pc sax section and blending together. Being a part of that is such a musical high that I miss. I think popular songwriting has improved greatly due to streaming, and gotten a bit less homogenous. I believe streaming is the reason that we're starting to get more challenging / creative popular music from this generation as their listening hasn't been limited to what they could afford to buy. 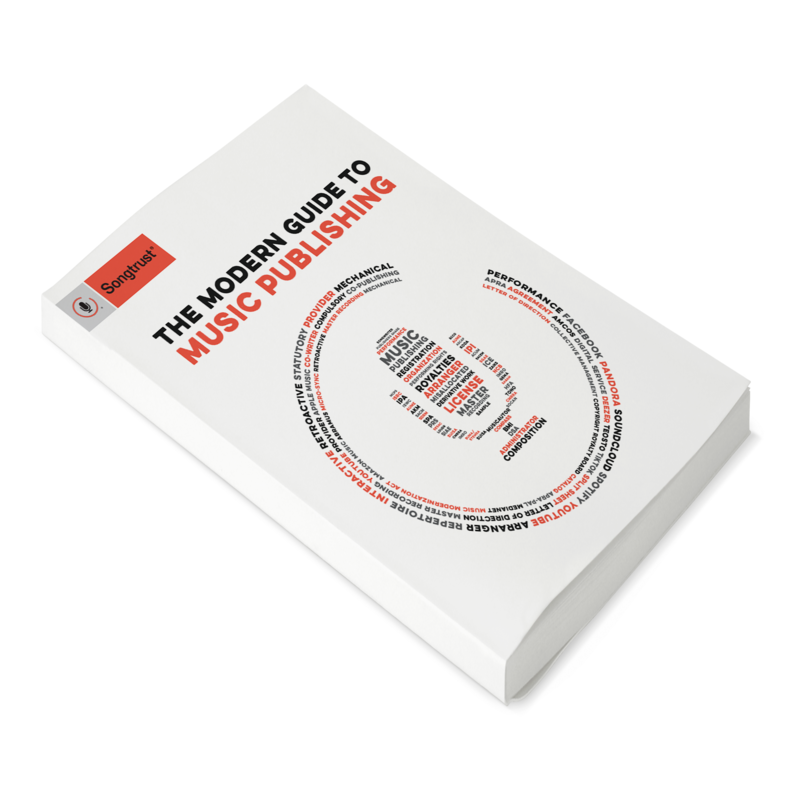 Endless music breeds endless creativity….but it also means you need to have great writing to really captivate an audience. I’m really impressed with the writing from many “alt-R&B: artists today. Thanks to streaming I think a lot more people are discovering jazz as well, which is amazing to see. You’ve had a lot of recent successes, what is your strategy for getting your music into the community and in front of new fans? I just try to apply the same creativity I use in my musical pursuits in creative ways of getting it out there. There’s really no set strategy for me other than to think differently, take risks, push the envelope, always be surprising, and question everything - the same elements that are present in my musical creation, both on stage and while writing music. We heard you’re working on a new remix project - what ignited that project and what are your hopes for it in 2019? Like I mentioned before I used to DJ, and make amateur remixes in high school. Growing up I was fascinated with “remix culture” overall...especially Verve Remixed, Blue Note Remix projects....plus this hard to find compilation of Charlie Parker Remixes called “Bird Up: The Remix Project” that I had on CD. Though I no longer DJ I wanted to satisfy my remix culture fascinations by collaborating with various producers to re-imagine the songs on my last two albums in a whole new way, which is challenging because it was recorded live with lots of bleed (there aren’t any stems for them to work with). It’s still coming together but have the first 4 done and it’s really cool to hear others interpret this music. Like always, I hope it surprises everyone, and also reaches an audience that might not normally listen to jazz...and inspire them to dig a little deeper and find more jazz that they like. Right now a priority is on building a team around me (management, booking agents, etc) so I can spend more time on the music and do the above at a higher level in 5-10 years. Personally: Get rid of your plan B, trust your gut and use the Law of Attraction. You gotta go all in. Musically: One lifetime is not nearly enough to master music. Pay attention to nuance. This is what separates the OK from the good, and the good from the great. Another key thing I wish I realized when I was younger: You sound like you today, the process is working on sounding like a better you. So hard to pick...but a recent favorite is “Beauty & Essex” by Free Nationals and Daniel Caesar.